My dream came true. I finally got to play Nancy Drew! Well, kind of. 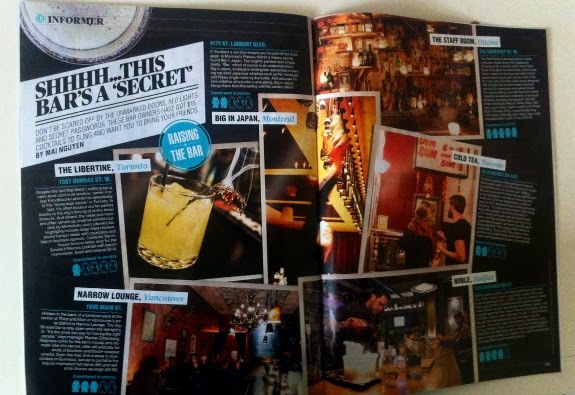 In the current issue of Canadian Business (go get, it’s on newsstands), I uncover six secret bars from coast to coast. These bars are becoming really popular in the drink scene. They have no sign or website, and are usually tucked away somewhere obscure to hide their $17 fancy cocktails, elegant décor, and dashing bartenders. Well, they were no match for your girl detective. Thank god for the phone book. Case closed.